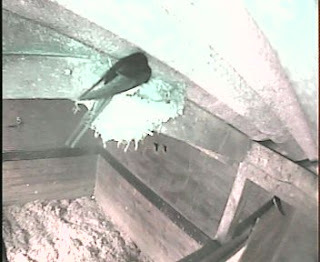 Both the parents have been in and out at regular intervals. Occasionally sitting on the nest. Still haven't seen enough to identify that what is there is a chick but all the signs are good. Why don't they build bigger nests?